Vodacom has restructured its Vodacom Business division, merging it with the business services component of pan-African communications company Gateway, and appointing Wally Beelders as its new chief officer. Vodacom created Vodacom Business in 2008 to focus on the converged communications market in SA. Realising that its core mobile business was maturing, the group felt it needed to expand into new areas in telecommunications to maintain growth. Following last year’s R5,7bn acquisition of Gateway, Vodacom has decided to fold that company’s business services division (which was created following Gateway’s US$37,5m acquisition of GS Telecom in 2007), into a new entity known as Vodacom Business Africa. That will require working closely with the UK’s Vodafone, Vodacom’s parent company, especially in African territories that Vodafone serves directly, such as Kenya and Ghana. 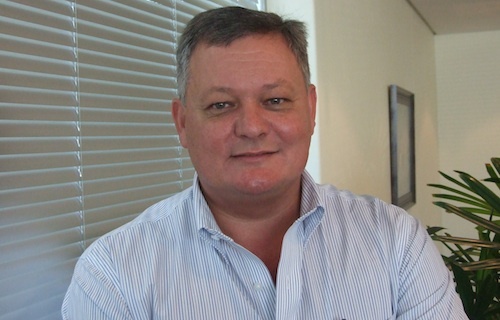 Infrastructure is crucial to Vodacom’s strategy on the continent, Beelders says. It is investing in terrestrial and submarine fibre systems. A new telecoms cable company is being created under Gateway to focus exclusively on fibre projects. Beelders says this company will roll out fibre between countries as well. Vodacom Business Africa also has plans to build two new data centres, one in Nigeria, and the other in East Africa, probably Tanzania (see story). Nigeria is a key market for Vodacom Business Africa. “More than 50% of the revenues associated with the business services portfolio being carved out of Gateway comes from Nigeria,” Beelders says.